It comes in three flavors: Free, Enterprise, Professional. It supports monitoring multiple adapters, letting you view the traffic passing through your network via different adapters. Advanced analysis modules provide detailed information about network traffic, allowing you to view the analysis statistics of Email messages, FTP transfers, HTTP requests and DNS analysis and other logs. Simple filters and advanced filters can narrow down the statistics volume of target hosts, letting you quickly focus on suspect traffic and identify the source of network troubles. Statistics and various graphs let you view network communications in various ways, bringing you an overall and visual impression of your network. The featured expert diagnosis lists network diagnosis events and provides possible reasons and solutions. Matrix dynamically shows you mapped network traffic between network nodes. Reports provide real-time statistic reports of global network or specific groups. Four built-in network tools, Packet Builder, Packet Player, MAC Address Scanner and Ping Tool, make it possible for you to create, edit and send out packets, replay packet files, scan MAC addresses, ping IP addresses and domains during monitoring. In addition, external Windows applications or tools can be customized to add to the program. The flexible and intuitive interface is the outstanding feature of Capsa, so you can easily switch from an overall statistics to the details of a specific network node, and even a rookie user can start to manage it in a few moments. 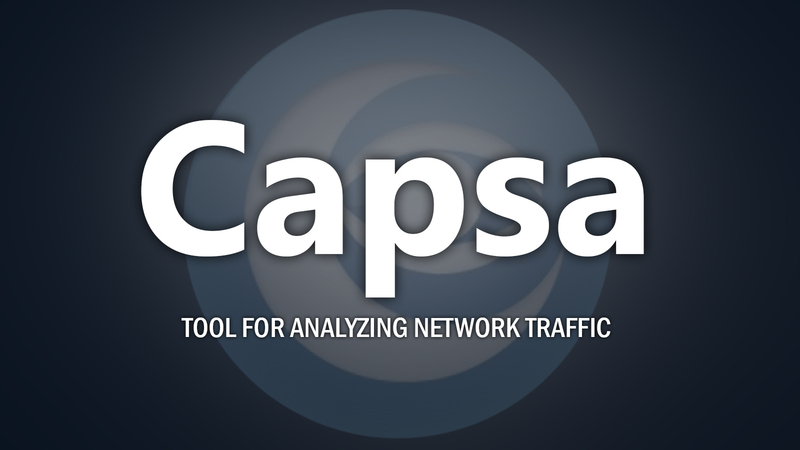 Capsa analyzes your wired and wireless networks from the lowest level and all the way up to the application level, so that it finds out all the problems on your network.